Large waves of global interest in meditation over the last half century have all focused on techniques stemming from Hinduism, Buddhism and Daoism. This collection of essays explores selected topics from the historical traditions underlying such practices. It ventures far beyond the well-known Hindu repetition of sounds, Buddhist attention to breath and body, and Daoist movement of limbs and bodily energies. A picture emerges of meditative traditions that are much richer and more diverse than our modern viewpoint typically acknowledges. Many of the practices are also shown to be of greater current relevance than commonly recognized. 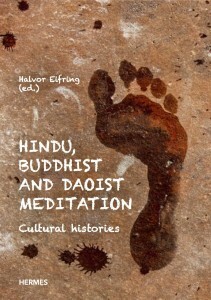 Halvor Eifring is Professor of Chinese at the University of Oslo and General Secretary of Acem International School of Meditation.